While not strictly Pompeii related this may be of interest to some of you who like me are technologists. "Digitizing Imperial Rome: A computerized Approach to the Architectural History of the Roman Imperial Forum"
Professor Emeritus James Packer, Northwestern University. 29th of October 2010, commencing at 6 PM. There will be a reception afterwards at the adjacent Old Anatomy Museum. Although each year millions of people visit the Roman Forum - the center of Rome’s former remarkable empire - they find only one or two partially preserved structures and piles of architectural fragments. Most of the ancient buildings, apart from the few converted into churches, collapsed after centuries of neglect, leaving their remains to be quarried by later generations. The details of the individual buildings are still not widely understood, and the Forum has never been studied as a unified architectural composition. 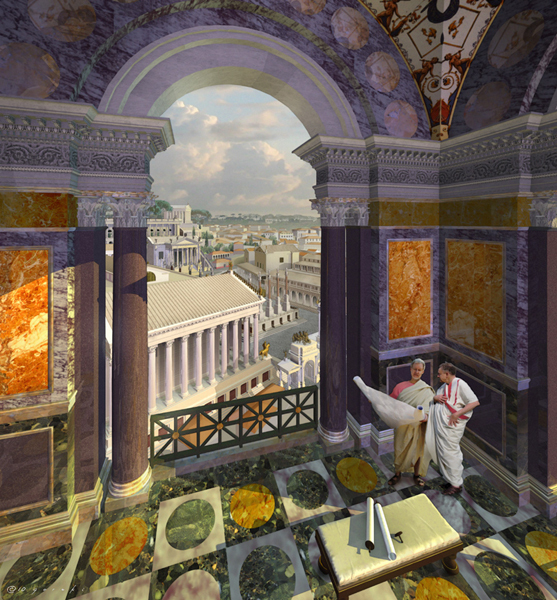 Moreover, owing to new archaeological studies and advances in computer technology in the last fifteen years, it is now possible both to reconstruct the Forum’s monuments accurately and, with these new reconstructions, to comprehend the design and meaning of the whole site. These considerations led my colleague, Professor and Architect Gilbert Gorski, and me to undertake our new, digitally based study of the Forum. Our work clarifies the design of the buildings around the Forum’s central core. It collects, for the first time in English; the most important material related each of the major monuments and shows visually their structure, size and original appearance. Over a period of nearly forty years (29 B.C. - A.D. 10), Augustus rebuilt the site, and thereafter, in material, size structure and decoration, its buildings related clearly to one another. Together they impressively represented the power and prestige both of Augustus own regime and that of the Mediterranean Empire it governed. With some missteps (the short-lived colossal equestrian state of Domitian, the unfortunately situated, enormous, gaudy Arch of Severus), later emperors carefully maintained Augustus’ design and structures, even as they rebuilt many of the monuments after disastrous fires. The late third century A.D. additions of Diocletian maintained this tradition but added a fashionable, new architectural framework that expressed that emperor’s optimistic hopes for the future of his recently reassembled Empire. Only the end of Rome as an imperial capital doomed the site to neglect, ruin, transformation and, from the 18th century on, to the investigations of modern excavators.